box is an innovative tool for secure and scalable content-sharing from anywhere! The online file sharing and Cloud content management service box has become a toughest player to compete in tech world since its inception in 2006. It started as a college business project by Aaron Levie (CEO) and Dylan Smith (CFO) in 2005. The beta version of box was launched in 2005 from Aaron’s dorm room and was made available for public in March 2006. According to the founders, through box, they aim at helping people easily access information without having to worry about data theft. box can be used for sharing personal as well as commercial content sharable and storable in any format. The company was originally based in Mercer Island, Washington, but later it was moved to Palo Alto, California, in 2006. It offers free as well as premium services. One can go for a limited version for free, but corporate users are asked to pay $15 monthly. The company has received funds on many occasions including an initial investment of $350,000 from billionaire Mark Cuban, and in 2011 receiving $48 million from Meritech Capital Partners, Andreessen Horowitz, and Emergence Capital Partners. 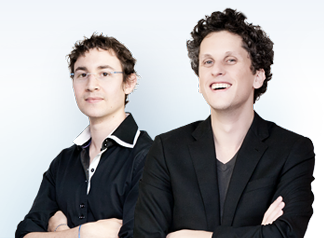 box began its service by targeting small companies and by the end of 2010, they already had approximately three million users representing 50,000 businesses. In 2009, Lead411 recognized Box as one of the “Hottest Silicon Valley Companies” and in the same year it receievd the Silicon Valley / San Jose Business Journal’s Emerging Tech award in the ‘Cloud Computing category’. Aaron has a degree in business from the Marshall School of Business at the University of Southern California. Whereas, Dylan holds a bachelor’s degree in economics from Duke University.Dylan has been featured in BusinessWeek’s top 5 Entrepreneurs under 25.